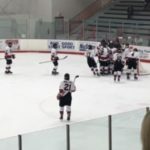 Marquette, MI – January 19, 2018 – The Marquette Redmen Hockey team faced off in a tough battle for supremacy rights against Flint Powers Catholic. 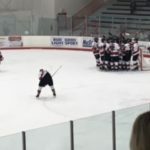 The Redmen are coming off of a dominating victory Tuesday night against Escanaba and were hoping to keep things hot against a very good Flint squad, who before tonight had only lost one game this season. 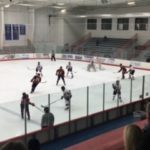 Marquette would grind their way to a 5-3 victory. The game was live streamed as always on Fox Sports Marquette. 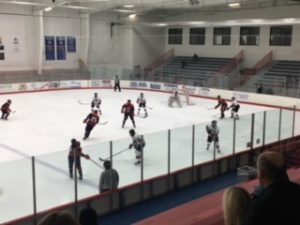 A strong first-period effort catapulted the Marquette Redmen to a 2-0 lead over Flint Powers Catholic. The Redmen controlled puck position to go along with a strong defensive backcheck. Senior Aydin Frost found the back of the net early for Marquette with a solid shot from the top of the slot. Hunter Doucette put himself on the score sheet after cleaning up a rebound in the front of the Flint Powers net. Both teams were well disciplined resulting in zero 1st period penalty minutes. 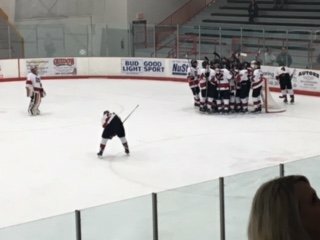 Flint Powers has only lost one game all season and it was only a matter of time before they were able to put a goal in the back of the net. Flint scored with 6 minutes to go in the second period on strong offensive zone puck movement. With 30 seconds to go in the period, Flint scored again to tie the game heading into the 3rd period. Both teams have strong records and are at the top of their respective conferences which set up an exciting last period of play. 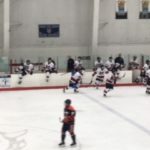 Marquette was looking to recapture the momentum they squandered late when Tanner Phillips fired a beautiful shot over the glove of the Flint Powers Catholic goalie to bury his 7th goal of the season. 40 seconds later Ethan Jones joined the Marquette scoring party giving Marquette a much needed 2 goal lead. Flint Powers Catholic was able to collect a goal a few minutes later, a fortunate bounce for a team that isn’t used to playing from behind. 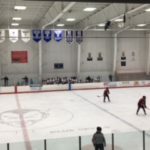 Nick Leafers laid a devastating hit on a Flint Powers that left that player injured on the ice for a few minutes while trainers attended to him, eventually skating off on his own feet. Originally called a clean hit on the ice, the referees minutes later penalized Leafers for roughing. With 1:20 to go in the game Ethan Jones blasted a shot to net his second goal of the game securing the victory for Marquette. 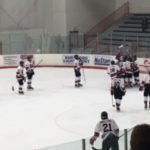 The Marquette Redmen defeated Flint Powers 5-3 at the Sault. Ste Marie Showcase. 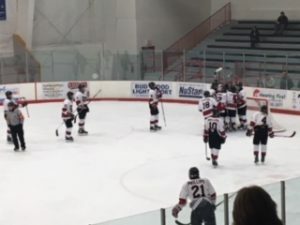 The Marquette Redmen put their 6 game win streak on the line tomorrow as they take on Traverse City West. This team looks like they’ve finally got their gears churning after a few stumbles earlier on this season. 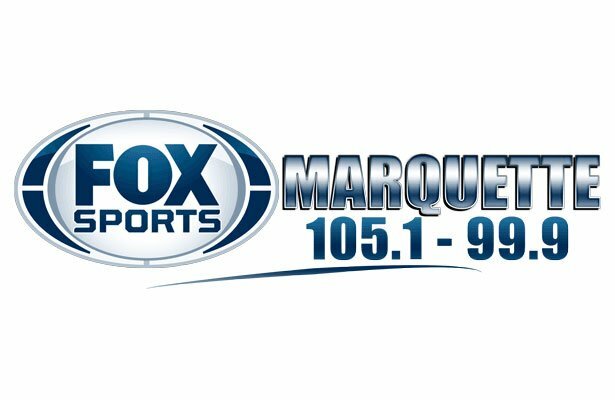 The coverage can be heard on Fox Sports Marquette 105.1 – 99.9 and streaming live on the fox sports Marquette website. You can listen to tonight’s audio stream here. We apologize for the audio issues we encountered tonight. 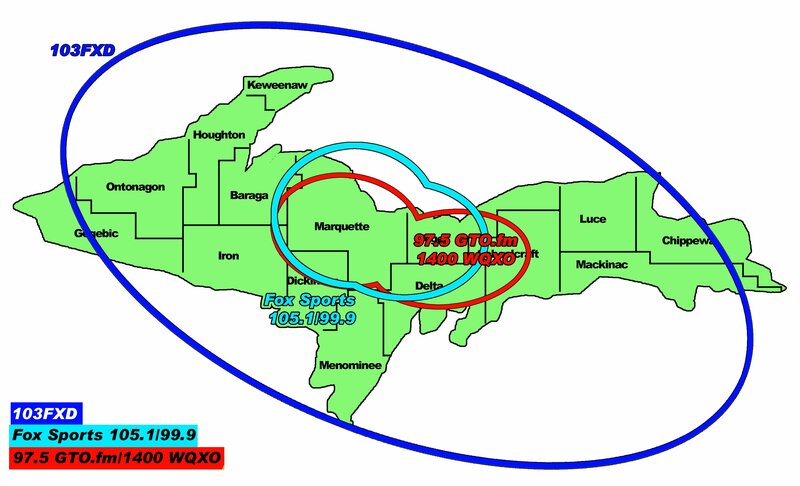 The Marquette Redmen playing the Sault Ste. Marie Showcase. Marquette takes control of the puck to move it out of their zone. Flint Powers in control of the puck during the Sault Ste. Marie Showcase.